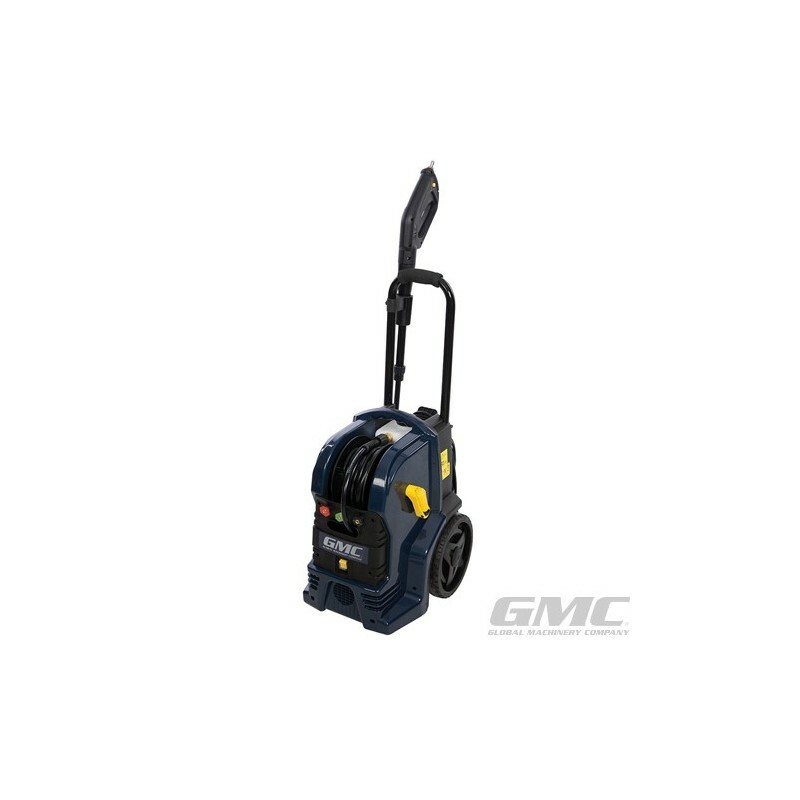 Air-cooled 1800W induction motor offers reliability and energy efficiency. Working pressure 110bar with 165bar max pressure. 7.1 Ltr/min maximum flow rate. Auto stop/start feature automatically operates the motor to maintain water pressure. Self-priming feature for connection to other water sources including water butts. 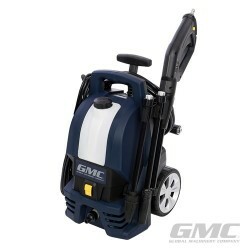 Extendable handle, 360° castors, wheels and foot-operated wheel brakes. 8m high pressure hose on integral reel with folding winding handle. Built-in detergent bottle and lifetime water inlet filter. Lance features trigger lock and precision machined brass quick connector. On-tool lance, power cord and nozzle storage. 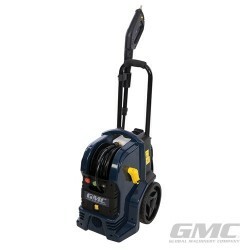 Includes 3 x quick connect long-life brass nozzles, fixed and rotary brushes, turbo nozzle, 2-section lance, cleaning pin and water-hose quick connector.